Learn what it takes to create wow-worthy customer experiences, across every channel, every time. DENVER, Dec. 8, 2016 /PRNewswire/ -- Memorable. Unique. Surprising. Positive. In our recent survey, those were just some of the words customers used to describe their best customer experiences. The truth is, every company in every industry has the potential to invoke these types of responses from their customers. But, results from our survey show that only nine percent of customers often have stand-out, wow-worthy customer experiences. And when they do occur, it's usually only in response to an issue that occurred. This month, TeleTech's eNewsletter, Dialogue takes a close look at the steps brands can take to create a future environment where wow moments happen proactively, across every interaction channel, every time. 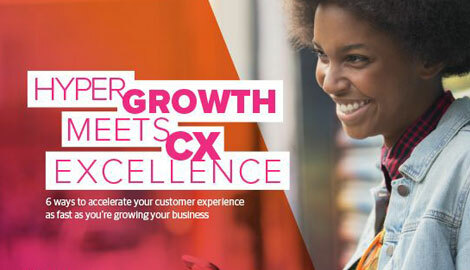 An e-book highlighting five ways to create wow-worthy customer experiences. A quiz designed to help businesses understand how customer-centric their organizations really are. An in-depth look at the reasons why contact centers are essential, even in a digital-first world. A special holiday message from our CEO, Ken Tuchman, and the rest of the TeleTech team. TeleTech (NASDAQ:TeleTech) is a leading global provider of customer experience, engagement and growth solutions. Founded in 1982, the Company helps its clients acquire, retain and grow profitable customer relationships. Using customer-centric strategy, technology, processes and operations, TeleTech partners with business leadership across marketing, sales and customer care to design and deliver a simple, more human customer experience across every interaction channel. Servicing over 80 countries, TeleTech's 41,500 employees live by a set of customer-focused values that guide relationships with clients, their customers, and each other. To learn more about how TeleTech is bringing humanity to the customer experience, visit teletech.com.